Happy Too Faced Tuesday! 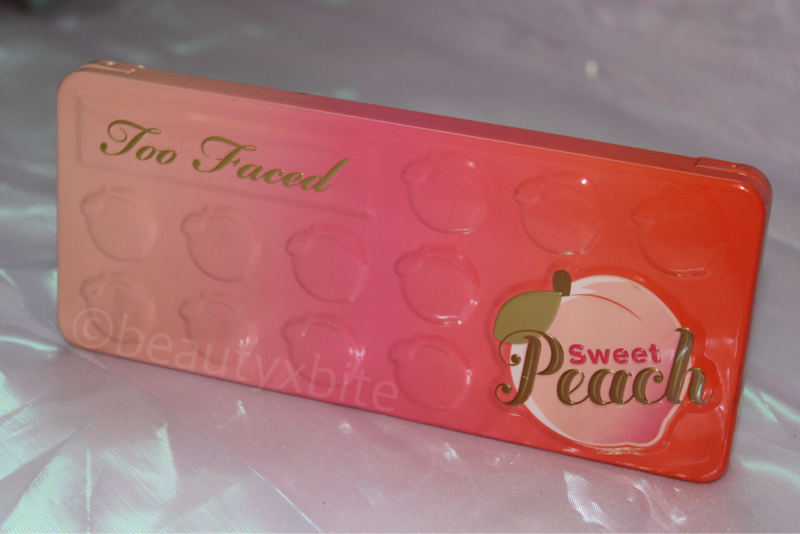 A couple weeks ago I finally caved and picked up the Too Faced Sweet Peach Palette because of all of the insane hype. 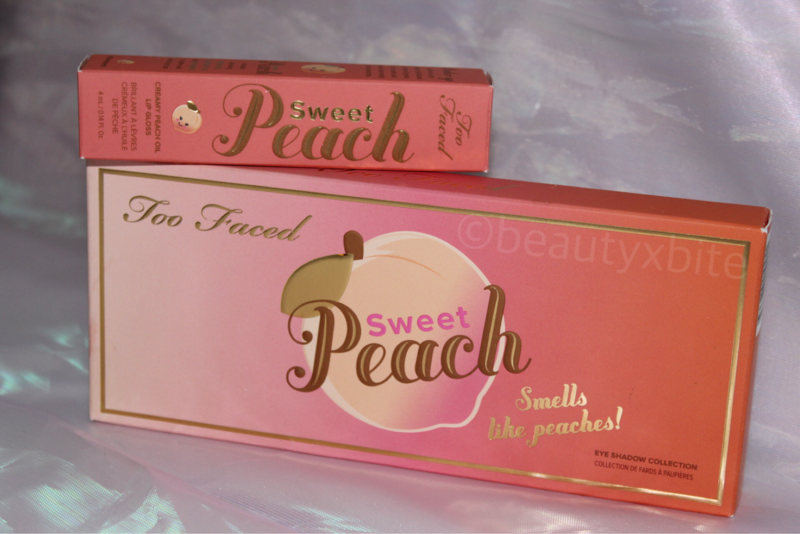 I really didn’t need any more eye shadow palettes in my collection, but who can say no to something that smells like sweet peaches?! The eyeshadow palette is $49 and it comes with 18 warm-neutral toned eyeshadows that are inspired by peaches 🍑. The smell: I’ve heard mixed reviews about the smell of the palette (since it’s so strong) but I honestly think it smells amazing! Such a nice sweet peach scent (like peach candy), and I don’t smell it once it’s applied. You can definitely smell it when the palette is closed, though. 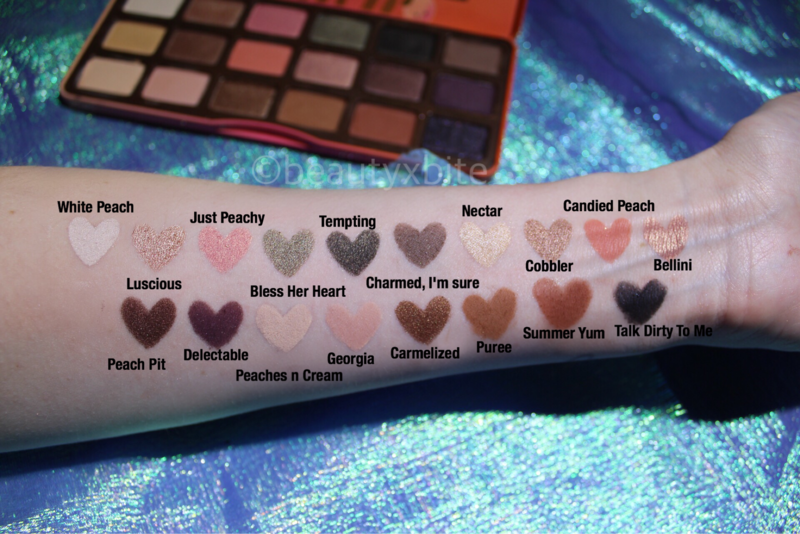 In my personal opinion, Too Faced shadows always need a primer. I personally use NARS pro prime eye primer because my eyelids are really oily. With this primer I get a good 8 hours of wear with these shadows without creasing. My main issue with this palette are that some shadows are seriously amazing, and some are just okay. I wish that the quality was more consistent for the price. You do, however, get a lot of eyeshadow shades for the money. Some of the shadows are too dry/powdery to use and tend to sheer out too much when you blend. But others are super soft and buttery, and blend like a dream. Overall, I think this product was way more hyped up than it needed to be. It’s a really unique idea, and I love the peach scent! The packaging is beautiful and really sturdy (it’s a metal palette which is great for traveling). I also love the combination of shimmer, matte and satin in the palette. I do think if you have similar shadows, this can definitely be a pass. I’ll keep it and continue to use the shades I love, but I don’t think it’s a necessity to add this to your collection. I also purchased a Sweet Peach Creamy Lip Oil in the shade ‘Peach Tease.’ These are described as a whipped Peach Lip oil that shines like a gloss and moisturizes like a lip balm. It is by no means long wearing, but it is super moisturizing and smells/tastes fantastic! The color payoff is awesome as well. It feels super lightweight and not sticky at all. Now at $19 each, it’s a little over-priced in my opinion. Still worth checking out though! 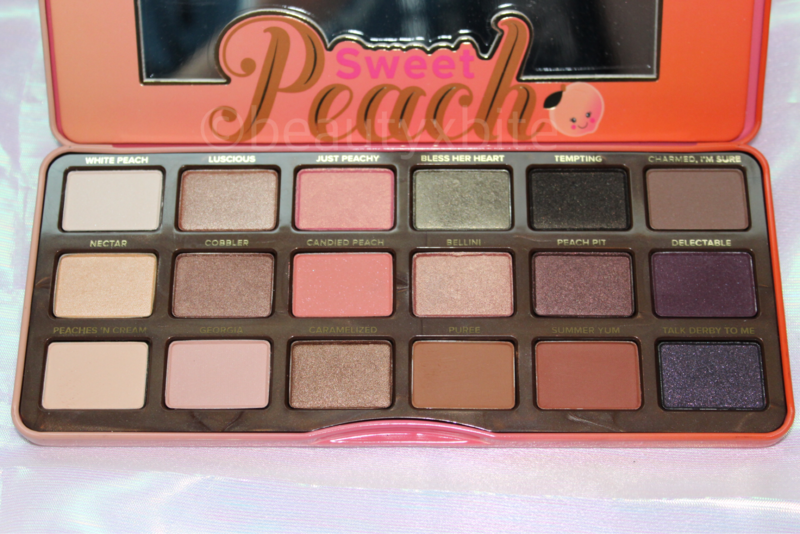 What are your thoughts on this Sweet Peach collection? Do you think it was worth all the hype? You can purchase this palette & lip oil at Ulta Beauty stores, Sephora Stores, http://www.toofacedcosmetics.com, http://www.Sephora.com & http://www.Ulta.com (none of these are affiliate links).